This car demonstrates that it is possible to create a roadster version of a supercar with unrivalled performance that is not only incredibly fast and dynamic, but also extremely comfortable and safe to drive. Without a doubt, the most impressive thing is the open-top driving: the passengers are directly exposed to the sound of the engine and turbochargers, ensuring a unique and emotional driving experience. The Grand Sport Vitesse had its world premiere at the Geneva Motor Show in 2012 and completes the range of Veyron models. A year later, the Grand Sport Vitesse made a powerful statement that once again demonstrated Bugatti’s supremacy: the supercar set another world speed record for the brand. 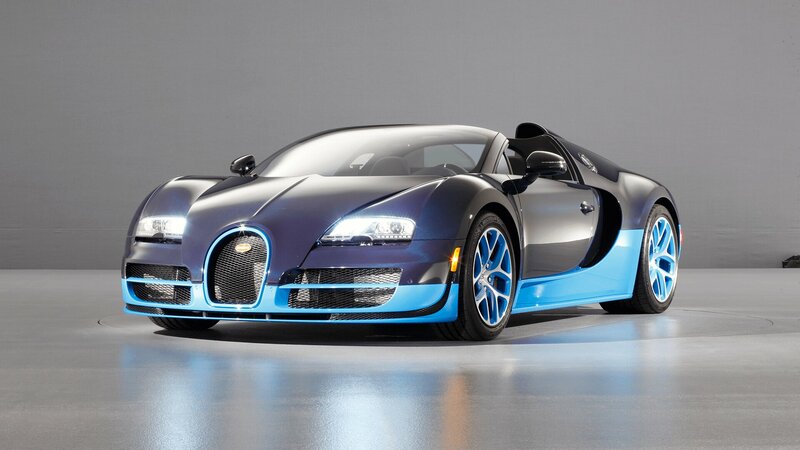 At 408.84 km/h, the Veyron 16.4 Grand Sport Vitesse is now officially the fastest production roadster in the world. The Veyron 16.4 Grand Sport Vitesse is completely sold out. Inspired by the Super Sport, numerous changes were made to the front and rear of the Grand Sport Vitesse in order to optimise the aerodynamics. Larger air vents were added to the front while the rear features a double diffuser and central dual exhaust just like the Super Sport. The Grand Sport Vitesse’s roof spoiler is also extremely eye-catching. Unlike the Grand Sport, the Vitesse’s exterior is completely made of carbon fibre. Hence, the Veyron 16.4 Grand Sport Vitesse is also optionally available with clear-coated visible carbon. For the Vitesse, Bugatti developed a new roof spoiler that significantly reduces the sound of wind and turbulence in the interior cabin. In addition, there will also be a new wind deflector for the roadster that can be stored compactly in the boot when not in use. Both details will also be available for the Grand Sport; together, the roof spoiler and wind deflector enable incredibly relaxed open-top driving even at speeds in the region of 200 km/h. The increased power compared with the Grand Sport (199 hp) is primarily due to the use of four larger turbochargers and intercoolers. In addition, Bugatti also extensively reinforced all components of the drivetrain in order to safely transmit the immense forces. The gearing of the seven-speed direct-shift gearbox (DSG) was specially adapted to the new conditions. 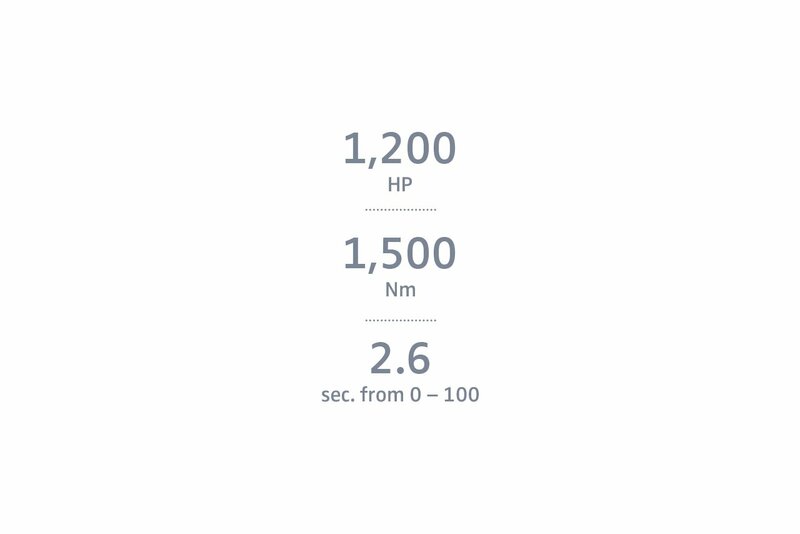 The use of larger turbochargers and overall reduction in back pressure meant it was even possible to slightly reduce fuel consumption despite the increase in power. The fuel system from the Super Sport was used, including a four-pump tank. A characteristic feature of the Grand Sport are the two air scoops on the left and right of the bonnet (which were redesigned for the Vitesse). These air scoops serve two functions in the roadster: firstly, they provide air intake for the engine and secondly, they are an elegantly integrated component of the rollover protection system.